Gene Riley Sorrells was born October 17, 1939 in Goose Creek, TX. He peacefully passed from this life to his heavenly home on December 4, 2018. He is survived by his wife, Sharon Sorrells, two daughters, Nilah and Eddie Gann from Rock Hill, SC and Carol Berry in Jacksonville, AR. There are five grandchildren: Rhona and her husband, Rene Rubio from Miami, Florida Riley Gann of Bentonville, AR Madison Berry of Little Rock, AR Jace Sorrells of Little Rock, AR Emily Sorrells of Little Rock, AR, and had five precious great-grandchildren! He spent over Five Decades in ministry! In 1957 he left his home in Odessa, TX and went to Tulsa, OK to attend the Apostolic School sponsored by Elder C.P. Williams. You see, he had wanted to pursue a singing career and the Lord spoke to his heart, thus he ended up in Tulsa. Having been raised in church, yet he’d never received the Holy Ghost, it was a joyous occasion when he received the Holy Ghost on Friday, April 13, 1957. While in Tulsa he met and fell in love with, Carolyn Jean Looper from Jacksonville, AR and they married on April 10, 1958. Eleven months later in March of 1959, Nilah was born. At this time they lived in Odessa, TX, where he worked for 1st National Bank and had left his home church to help start a new church across town, working with Bro. Howard Smelser. 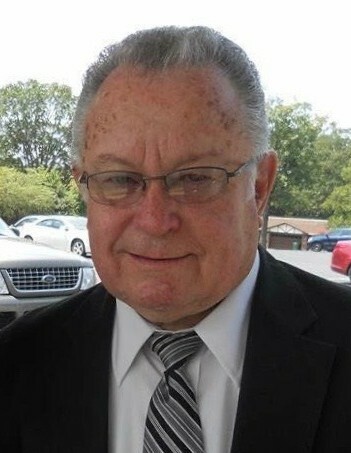 He taught bible studies, cleaned toilets, went door knocking, led worship, cleaned toilets, mowed the grass, did hospital visitation, cleaned toilets…….and just about whatever Bro. Smelser thought this 19 yr old young man could do. Today that is a thriving church pastored by the founding pastors son, Dan Smelser. In October of 1962, Carol was born and shortly thereafter the family moved to North Little Rock, AR. His wife, Carolyn, had been raised under the ministry of Bro. A.O. Holmes and they came here to assume the responsibility of the North Little Rock Children’s Home, established by Bishop A.O. Holmes. Shortly after arrival motel property was purchased and the Sorrells family, along with 30+ children moved to live at the Lakeview Children’s Home. It was during this time with Bishop Holmes that Bro. Sorrells actually started preaching. Ministry began in 1959 - 1960 but his preaching began here in North Little Rock. After a couple years with the Children’s Home, he felt drawn to evangelize. Our little family of four hit the evangelistic field in a new 1965 Chevy Impala, headed for Texas! While in Amarillo, TX with Laurence Blackstock, he received a call about Salina, KS and he said he went home and told his wife, “we are headed to Kansas”! They were in Salina for 5 years. The church grew under his leadership and he was the Kansas District Youth Secretary, then Youth President and was instrumental in establishing 5 new churches. In 1970 they moved to Tulsa, OK. Here, he was The Apostolic School Principal and Assistant Pastor to John Williams. In September 1971 he experienced a tragic loss. His soul mate and the mother of his two little girls, slipped from this life with a precious baby girl. At this point the girls moved to Durant, OK to live with grandparents and Bro. Sorrells moved to Mena, AR to help a friend, Dwayne Hamilton build a new church building. Now folks it was ridiculous at the number of young ladies that started buying gifts for Nilah and Carol in their pursuit of this handsome 32 year old father. Nonetheless, there was a pretty little piano player from the First Apostolic Church in Tulsa, OK, named Sharon Still. She had called off her wedding to a guy in Texas just days before his wife’s death due to complications in childbirth. Little did she know, God had other plans for her! Just 9 months later, in May of 1972, she became a preacher’s wife and Mom to the girls. She brought a lot of laughter into the home. They lived in Mena, AR; Durant, OK and Oden, AR before moving to Ft. Smith to attend Northside Pentecostal Church with Rev. James Lumpkin. September 1975 a BOUNCING BABY BOY arrived!!!! Joel Benjamin was the joy of life! Carol and Nilah were 12 and 16 so he never lacked attention with these doting sisters. Although there had already been many transitions…he was becoming what he needed to be, to be able to handle God’s ultimate task in his life. January 1976 he was elected as Pastor in Gravel Ridge, AR!!! The church note was burned at the end of his first year, adjoining property was acquired, four years later was the ground-breaking for this current building. There’s been many great revivals and souls filled with the Holy Ghost. He’s pastored here for almost 42+ years. This is an abbreviated biography of the life of a man who’s literally given his life for the work of the Lord without a thought of what comes in return. He’s lived selflessly for the benefit of the work of the Lord. At one time we compiled a list of 52 evangelists that have been here over the years. His love for helping others in ministry caused him to sponsor ‘The Revival Convention’ for 18 years. His investment in all those men that have ministered here, and been ministered to, are another extension of his ministry. Pastor G.R. Sorrells was a friend to the evangelists! This great man was at times misunderstood, acquainted with much grief and sorrow, yet held his head high, allowing the Lord to fight his battles. He had many talents and gifts and wore many hats....husband, Dad, brother, uncle, hunting buddy, Top Chef, counselor, Pastor, Papa to Rhona, Rene, Nelson, Emma & Audrey, Riley, Madison, Caden & Gabe, Jace and Emily Kate and all the other kids that have grown up around here calling him Papa. He will be missed greatly! !